Town suffered their first league defeat in midweek at the hands of Brighton, and David Wagnrr was intrigued as to how his side would respond against a QPR side who suffered a 6-0 battering by Newcastle last time out. It was to be a home sell-out as Town’s fantastic support continued, with the club hoping for a fourth successive home win. As expected, Wagner made changes to the starting eleven, with Bunn and Payne being replaced by Palmer and Wells. This meant Kachunga played a more wide right role, with Wells down the centre of Town’s attack. As for the visitors, their side was strong on paper, with both Alex Smithies and Joel Lynch (bench) returning to the John Smith’s Stadium. The defensive frailties in QPR were obvious early in the match, with Town dominating, and the front four in particular interchanging and causing problems for Hasslebank’s side. The reward for the early dominance came on 14 minutes, when Van la Parra recycled a Smity cross to find an unmarked Palmer steaming in at the back post to head beyond Smithies. 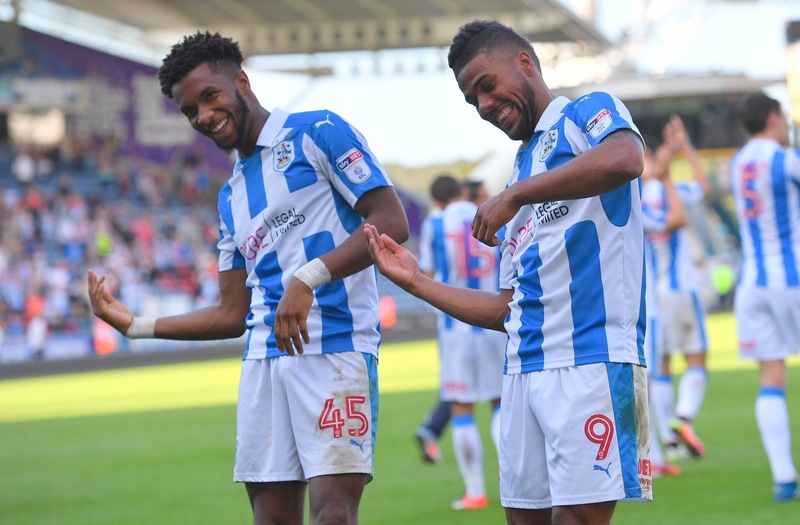 This calmed any worries that Town had lost momentum following the Brighton defeat, and Town’s control on the game grew as the first half progressed. Nahki Wells had a great chance after Palmer found him, only to be denied by the QPR keeper, and latterly the offside flag. The only complaint that Town fans could have, if any at all, would be that it was only 1-0 at the half-time break. The second half brought two changes for QPR, however the game followed a similar tone, with Town enjoying most of the possession, and chances. Kachunga nodded over a header, and it looked like Town should’ve had a penalty when Hall handled in the area, but it wasn’t to be long before the Terriers extended their lead. Hogg found Smith with a lovely ball, before the vastly-improved right-back whipped in a beauty of a ball, which was met by Kachunga who headed over Smithies. The 20000 strong crowd were in good spirits, as it looked certain that Town were to get back to winning ways. The game had a lack of quality following Town’s second, and whilst Smith was off the field, the visitors responded with a Sylla header to get back into the game. It wasa slightly nervy finish, but Town saw the game out to record yet another win, and extend their lead at the top of the Championship to two points. A very flattering 2-1 result to QPR, as it should’ve been more comfortable. The Terriers move onto Reading on Saturday as they looks to keep their record of maximum ‘Saturday points’ this term. And then, it’s a Yorkshire Derby at home to Rotherham on Tuesday 25th September. Previous Ward error costly as Brighton inflict a first defeat!